One of the first times I had dinner at the home of my husband-to-be, his mother served a cucumber salad with sour cream. I had never heard of eating sour cream and really couldn't imagine why anyone would want to! It took quite a while, but eventually I did try it - more out of politeness than anything else - and I was amazed to find it was delicious. 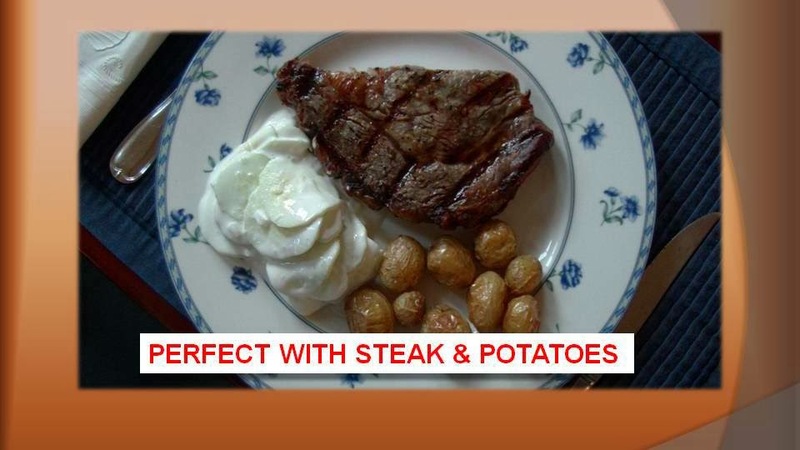 Today, I wouldn't think of serving steak or roast beef without this great side dish. Combine the cucumber, onion and salt. Fold in sour cream, cover and chill for at least an hour. Stir before serving. Recently found your channel. I really enjoy your recipes and techniques. Thank you for posting. This cucumber salad is one I will try - it is simple and looks delicious. We usually do cucumbers in vinegar and onion and sugar so this will be a little different. Thanks again!